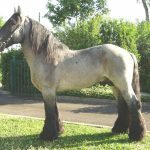 The Poitevin Horse, hailing from the Poitou region of France, is a late maturing, draft horse, known for its calm disposition——an outcome of cross breeding several European breeds of draft horses. Health No known breed-related health problems, though regular vet check up is needed. Developed in the marshy region of Poitou, particularly in the areas of Lucon, Melle, Niort, and La Rochelle during the 17th century, they were created with a combination of natural as well as human selection around the marshy area that they inhabited. Though categorized as a draft horse, they were neither used nor popular for this purpose. 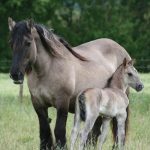 From the remains of prehistoric equine breeds in the Poitou region, and the Mesolithic remnants near the Echire and Surgeres, many experts have claimed the Poitevin as their descendants because of the physical similarities that have been found. However, through scientific studies such claims have not yet been validated. Horses may also probably have been brought to the Poitou region by the Celts as they migrated. There are also records highlighting the fact that a Roman bishop during the 10th century, had asked for a mare to the Count of Poitou from this region. 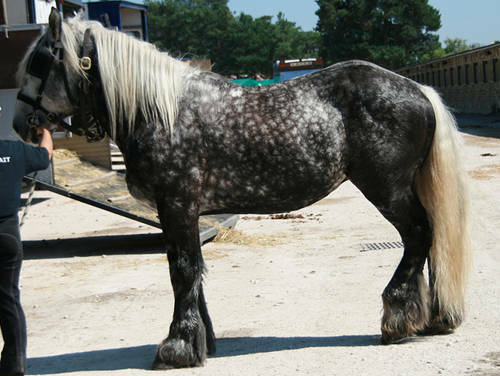 The development of this breed started in 1599, with the French King Henry IV, requesting the Dutch as well as the Flemish engineers, who were led by Humphrey Bradley to start draining the marshes of Poitou. 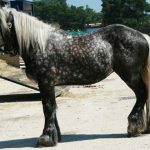 These people brought along with them certain breeds such as the Brabant, Friesian as well as a kind of Flemish work horse that was popular during the 13th century. 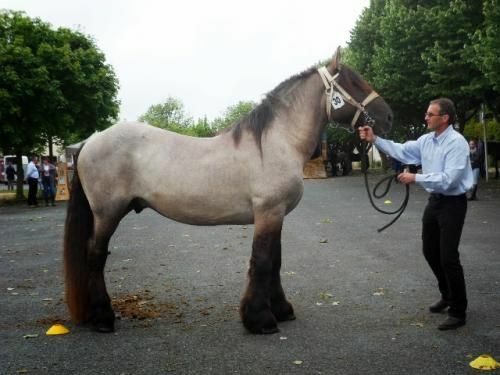 These varieties having a size and weight of 16.3 hands and 1200 kgs respectively were crossed with the mares indigenous to Poitou. 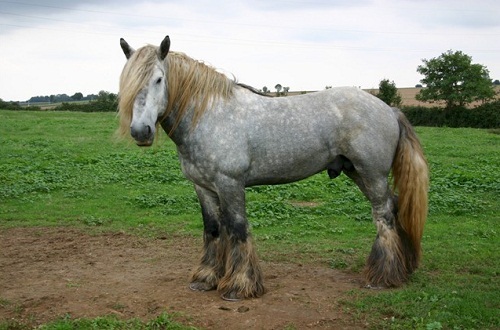 This crossbreeding process resulted in a large breed having a lethargic and slow disposition, which seems to be the forerunner of the Poitevin of the modern times. 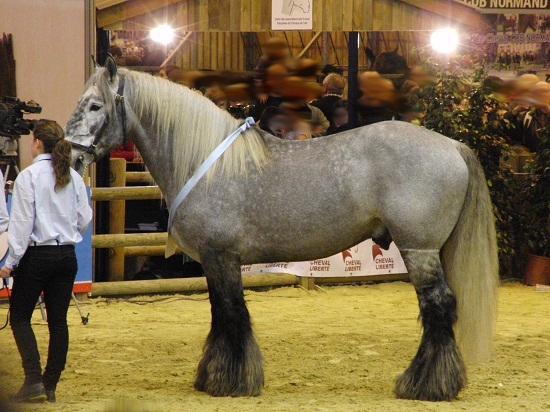 Towards the close of the 18th century, the French government took an initiative of crossing the Poitevin breed with the light weight Norman as well as Thoroughbred horses with the intention of creating breeds for cavalry purpose. However, a lot of private breeders objected to this as they felt that the horses produced by crossbreeding would be useful in producing mules when bred further. 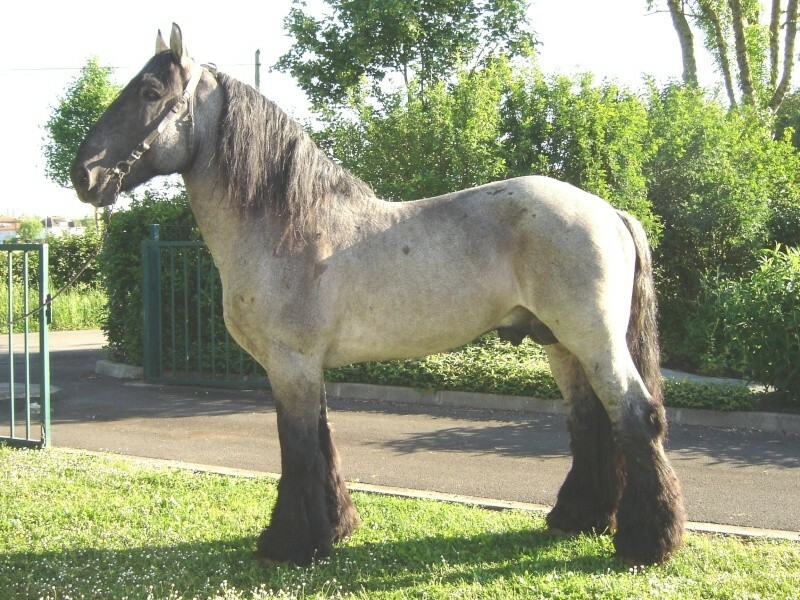 The mares of this breed were crossed with Poitevin donkeys and the outcome was a large, hardy Poitou mule. The mule breeding industry, dominant throughout the 18th century, suffered a setback when opposition came in from the stud farm administration of the government, whose intention was breeding cavalry horses for the French troops. The government imposed a prohibition on the breeding of mules from the mares which were 11.3 1⁄4 hands, while they even threatened the castration of all donkeys. 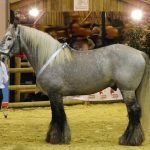 During the 19th century the colts and fillies of the Poitevin breed began to be sold in fairs in different places of France like Marans, Surgeres, and Nuaille. By the start of the 20th century, the number of Poitevins rose, however, after this time a decline was seen. 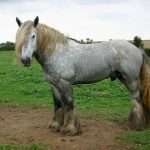 In fact, the colts that had not been used for mule breeding were considered “soft” and not as valuable as the Percheron, the major draft horse breed of that period (the 19th century). Some of the dealers brought young, gray horses and fed them a lot to make them strong and heavy, finally selling them by the name of Precheron. By 1861, the old-styled Poitevin was gradually becoming extinct. 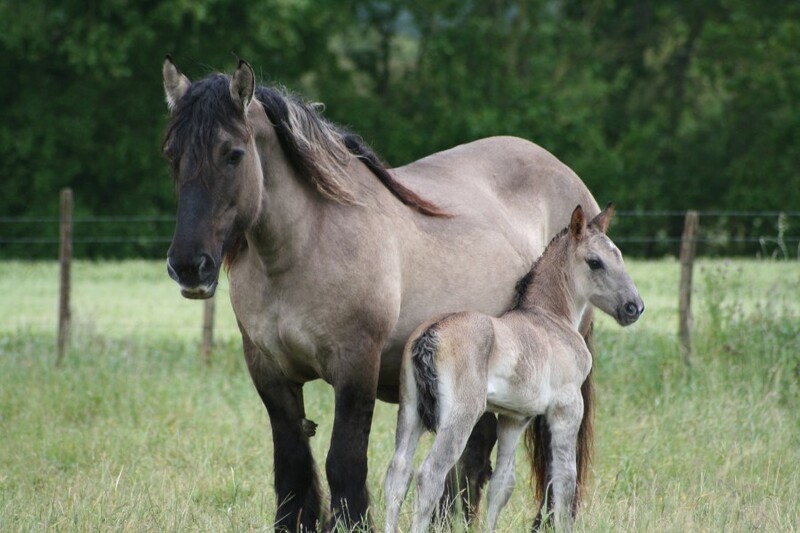 In fact, the large mares reduced in numbers because of increased cross breeding and lack of proper care. 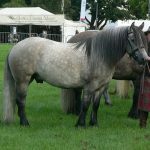 The Anglo-Poitevin was a half-blood created by mixing the Thoroughbreds and their crosses, which were used by the army. The studbook for the Poitevin had been created by Société Centrale d’Agriculture des Deux-Sèvres on the 26th of June, 1884, having a horse and donkey section. In the first edition, which was released on the 31st of December, 1885, set the physical standards of these horses, also putting a stop to the practice of promoting crossbreds as purebreds. After undergoing several revisions, the stud book finally closed in 1922 after 424 foundation horses were registered. In 1922 the Poitevin breeders founded an association which was reorganized in 1937. During the beginning of the 20th century the industry for mule breeding collapsed due to mechanization. 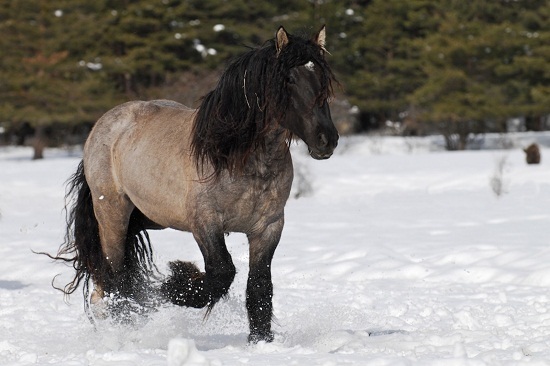 By 1922, it was difficult to sell these stallions leading to a major decline in their population. By 1950 only 600 mares and 50 stallions remained. Between the 70s and 90s these horses varied in population ranging from 250 to 300, with an average entry of 20 horses in the stud book every year. However, in the 90s the population of these horses was probably the lowest. However, according to some sources 64 newly registered foals as well as 28 approved breeding stallions existed by 1996. 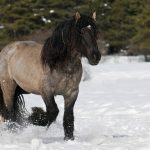 Though there was a slight increase in their popularity at the advent of the 21st century, by 2006 they were regarded as the most endangered kind of French horses having less than 100 births every year. In 2011, 71 foals had been registered into the studbooks with 227 mares being recovered of which 171 were bred to Poitevin stallions. The public can access this breed at l’Asinerie nationale de la Tillauderie, which is an experimental farm. 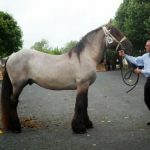 Some breeding stallions have been exported to the US where breeders, where breeders showed interest in conserving this breed as a draft horse. Stud farms even exists in the US and Sweden. 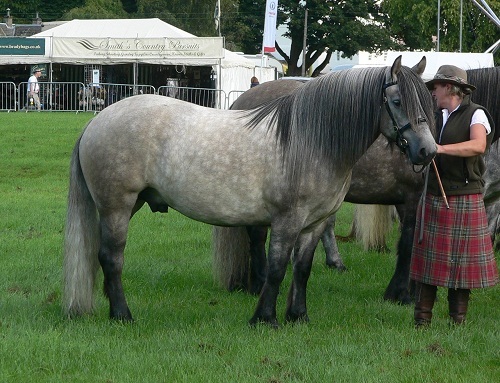 The Poitevin horses were used in movies.